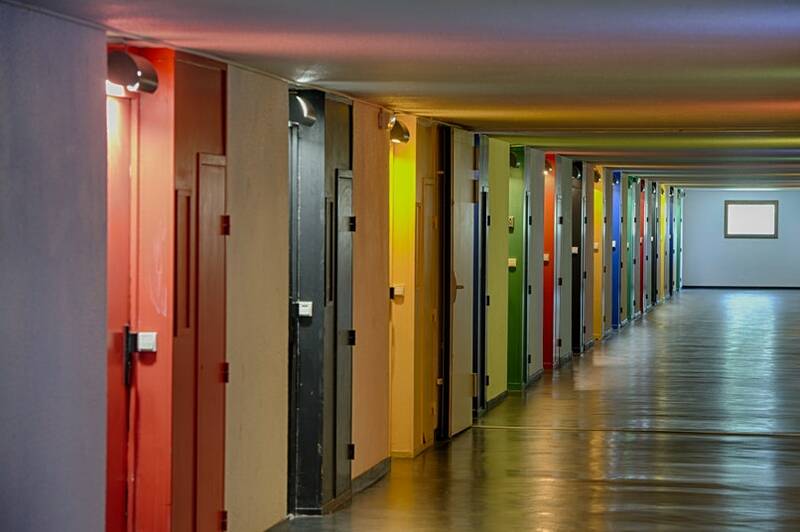 The fixtures were salvaged from the architect’s public housing unit in Firminy, France. Any architecture buff has marveled at the works of Le Corbusier, a master in functional structure and urban planning who came to define architectural modernism. Now, more than 25 buyers have a rare chance to own a piece of his direct design legacy. Paris-based auction house Artcurial is putting over one hundred metal sconces designed by the architect on the block today, all of which were previously housed in one of his historic public housing complexes. The lights were salvaged in 2004 from the building in Firminy, France, when it underwent major renovations. A former mining town in the Loire Valley, Firminy underwent a substantial population boom after World War II.